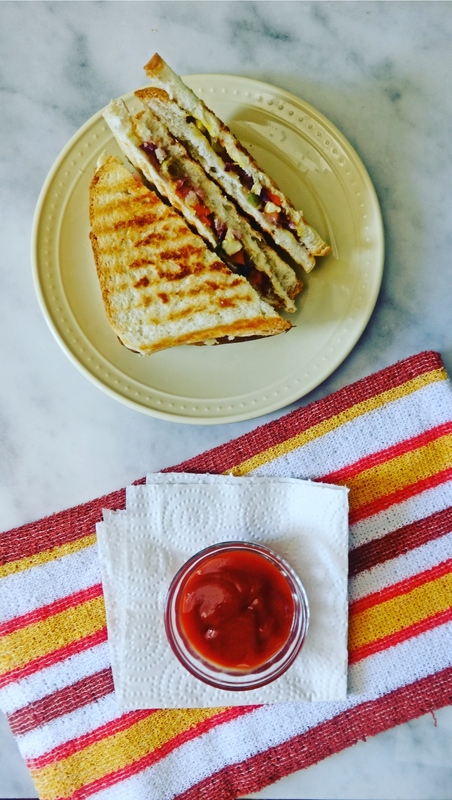 Monday is back, usual routine life started again, probably sometimes we sleep an extra few minutes on Monday morning due to weekend effect 😉 So all we need is a quick breakfast, Here is a very handy recipe with all vegetables healthy and tasty “Veg paneer sandwich“. 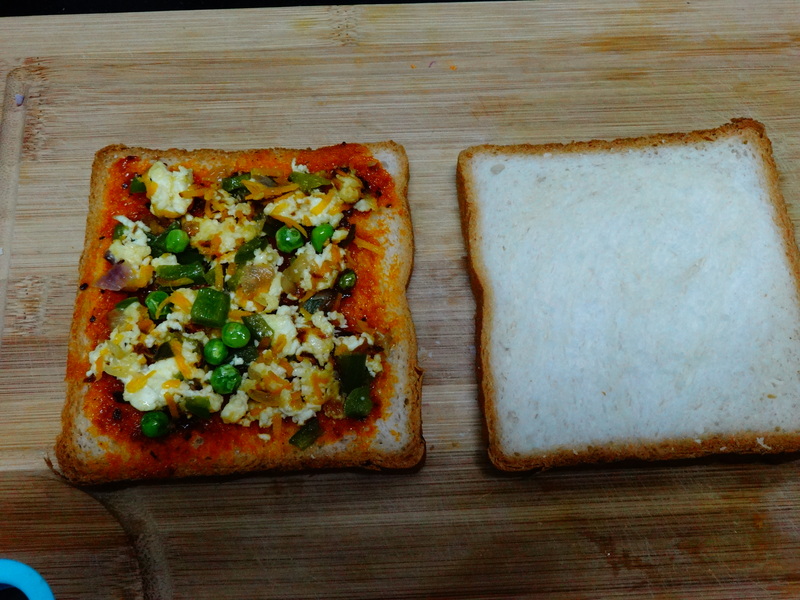 This recipe is very simple, all we need some veggies, paneer (optional), bread and some sauce (optional). 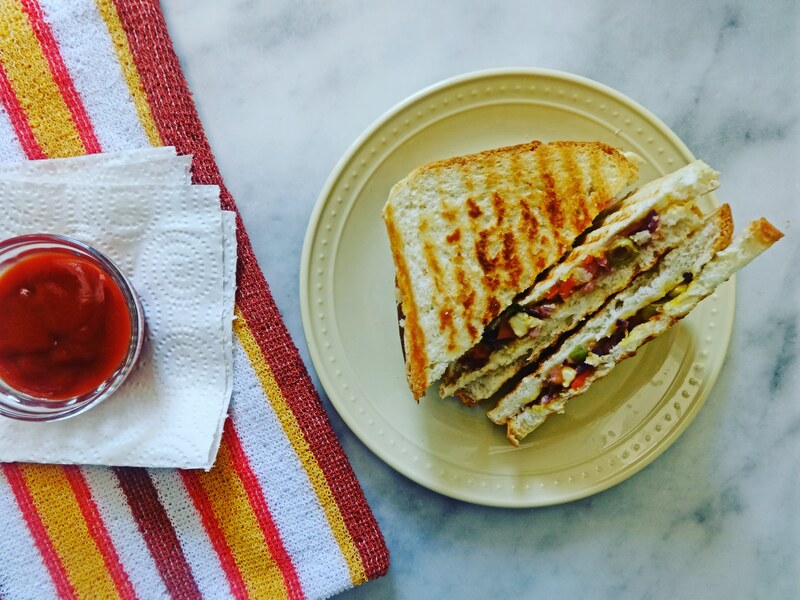 In few minutes, yummy breakfast would be ready. Get the ingredients ready. First add oil in a wide pan. 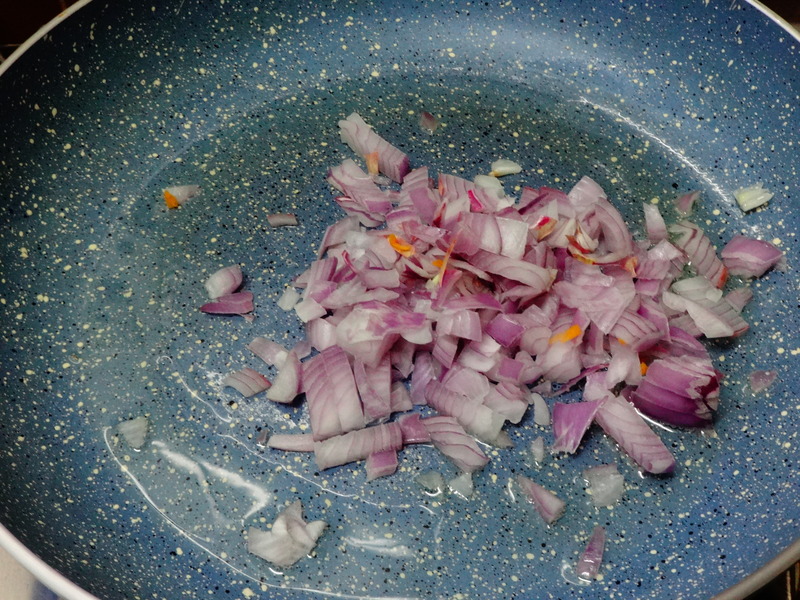 Once the oil gets heated, add chopped onions into that and saute well. 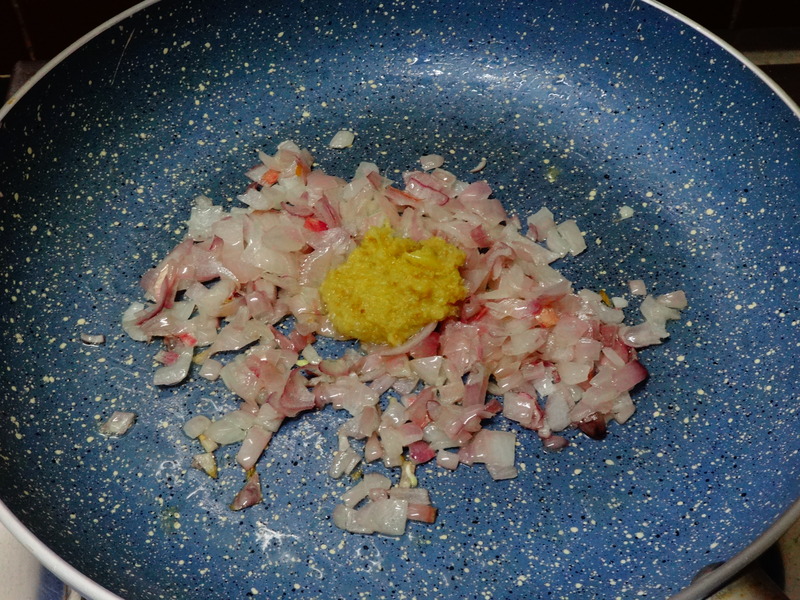 After a min, add ginger and garlic paste into that, saute well for few mins. 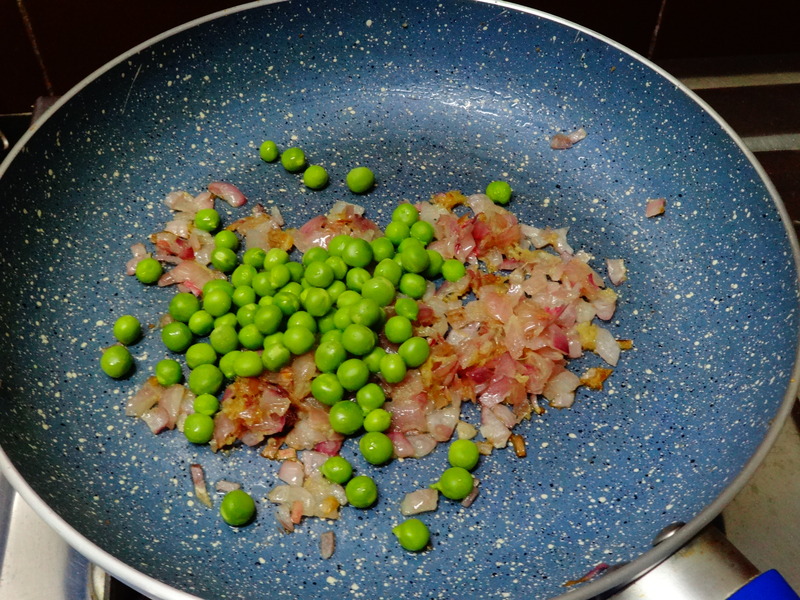 After that, add green peas into that, mix everything well, let it cook for 2 mins. 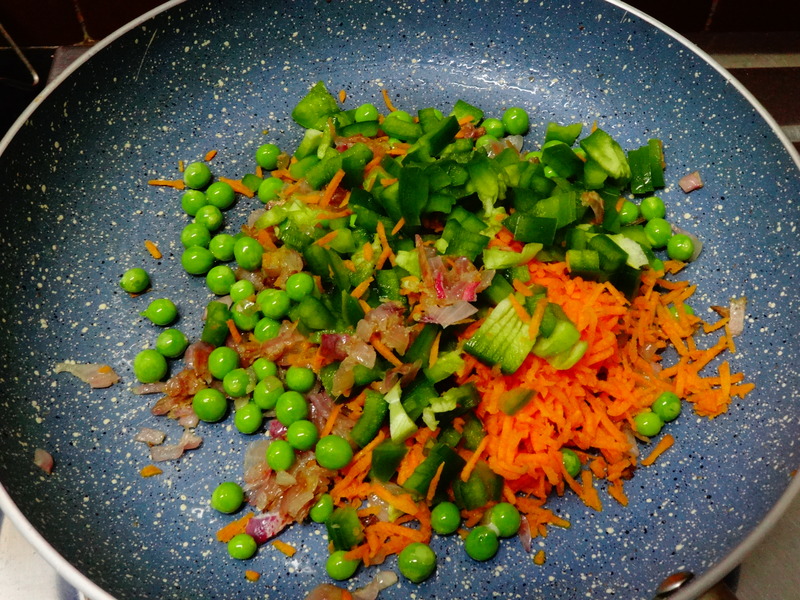 Then add carrot and capsicum into that, mix everything well and add salt, pepper into that. Stir well. 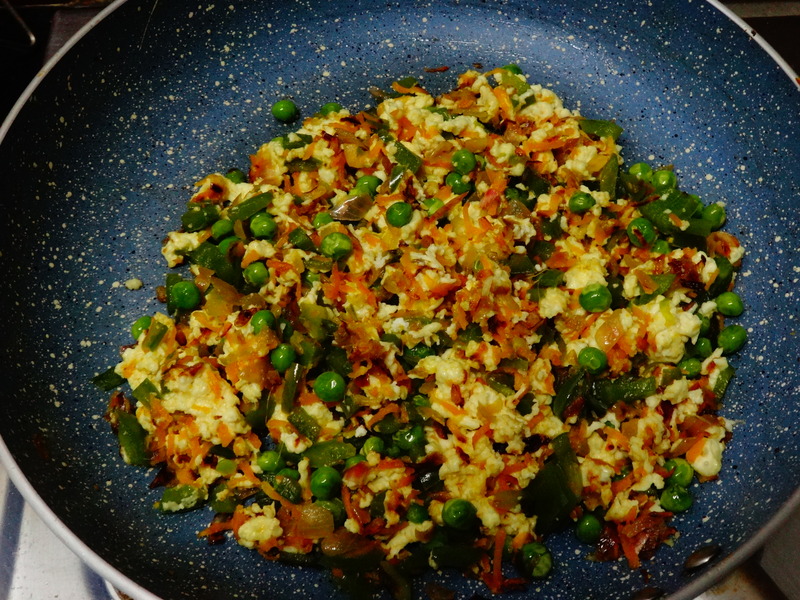 Once everything blends well, add paneer also into that, Let it cook for a few mins in medium flame. 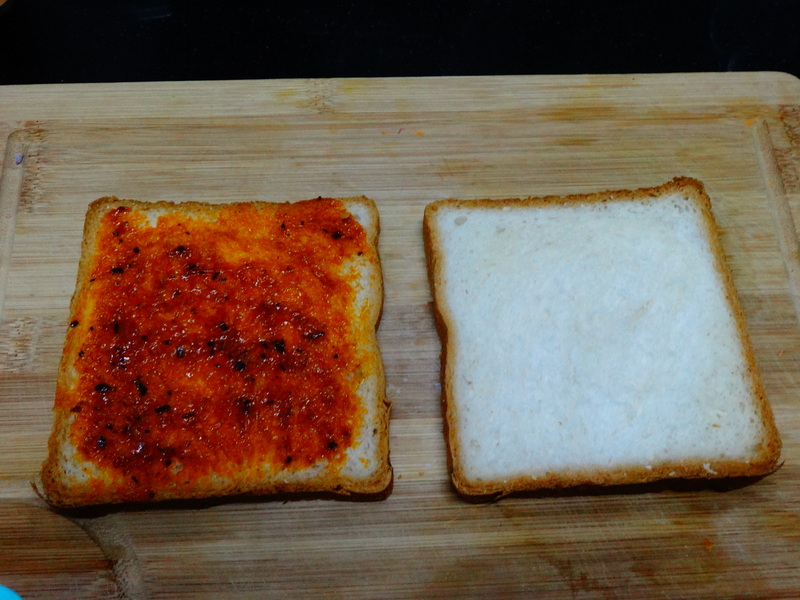 Once it is done, turn off the burner, Take the bread slices, chop off the sides if you don’t prefer that, Then add tomato sauce on one side of the bread, this is also completely optional, if you don’t prefer, you can always skip this step. 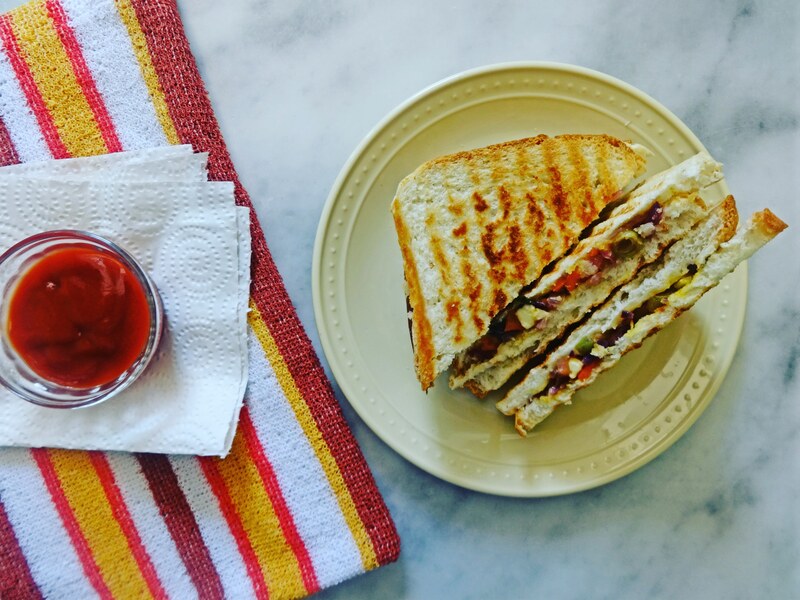 Then place the veggies on one side of the bread, close with other bread and place it in the sandwich maker.